If you like flavor, you've gotta try my Spicy Red Pepper Marinara. Some (my husband) would say this was an accident but I call it destiny. 1. 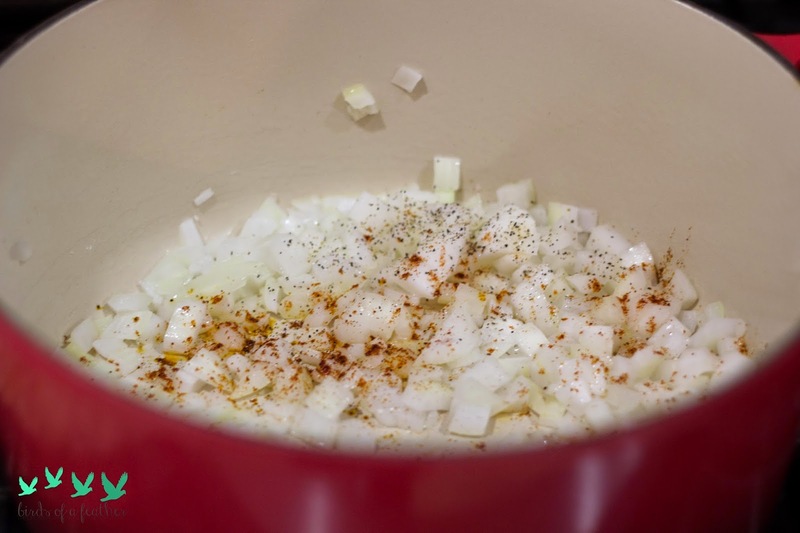 Drizzle your pot with oil and saute your perfectly diced onion (see my post on how to dice an onion the right way). Add salt, pepper and chili powder. 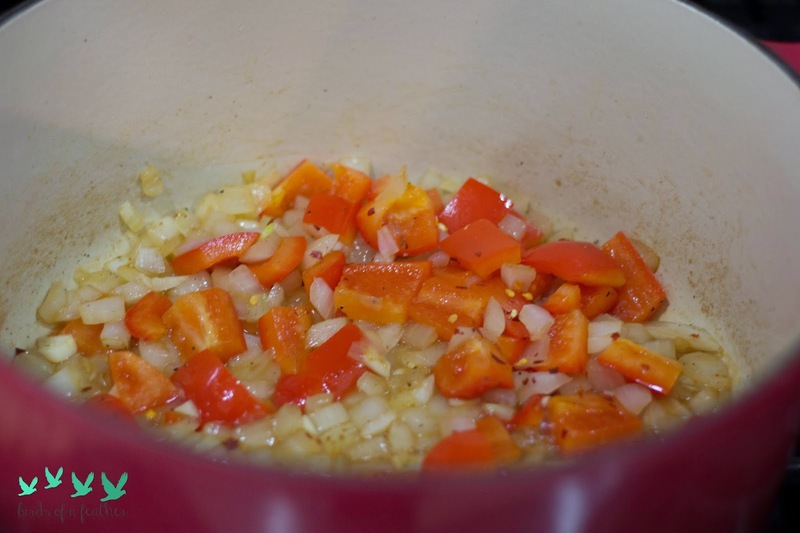 Cook 2-3 minutes then add your diced red pepper. 2. Add two pinches of red pepper flakes and red cooking wine. 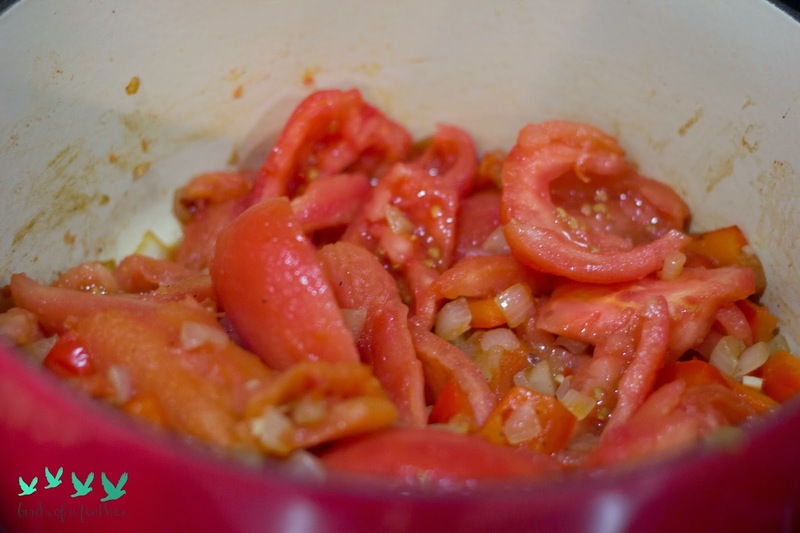 Allow cooking wine to reduce, then add your tomatoes. 3. Now add your peeled and "gutted' tomatoes. 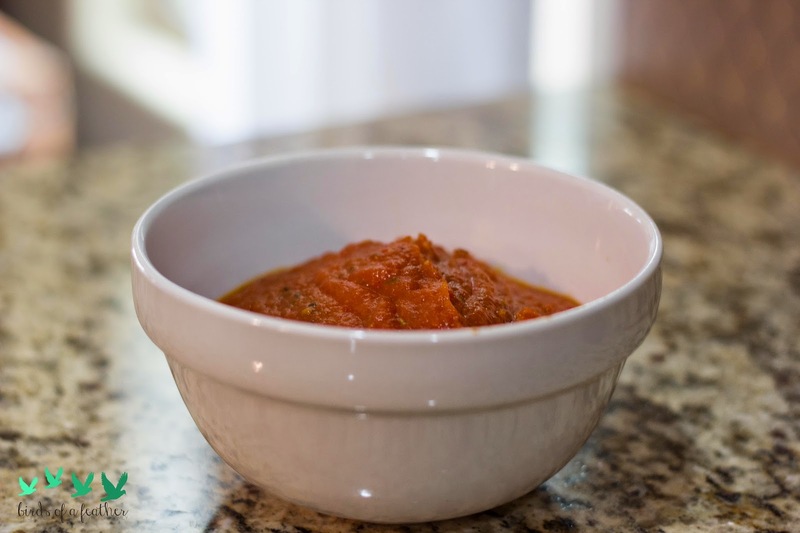 (see my post on how to peel a tomato) Add 1 cup of water and allow tomatoes to cook down. Don't let the liquid completely evaporate. Gradually add water as needed throughout the cooking process. I let my tomatoes cook down for about an hour. 4. 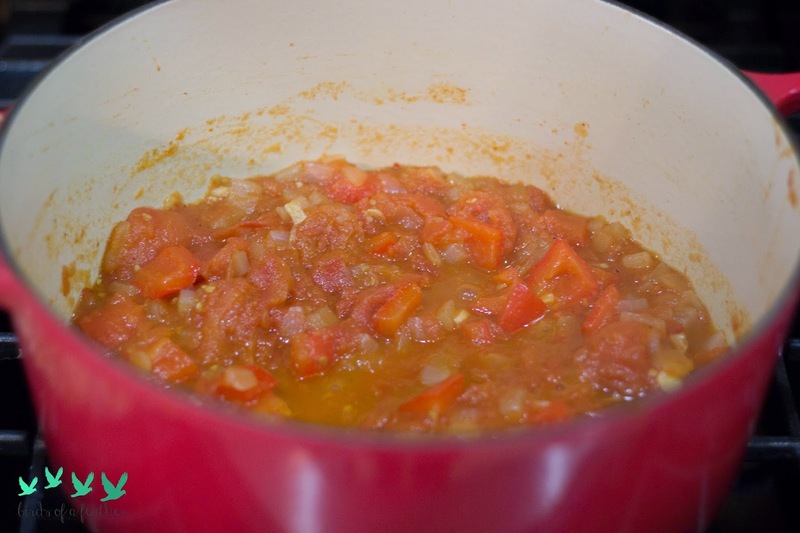 Once the tomatoes have cooked down and reduce by about half, it's time to puree the veggies. 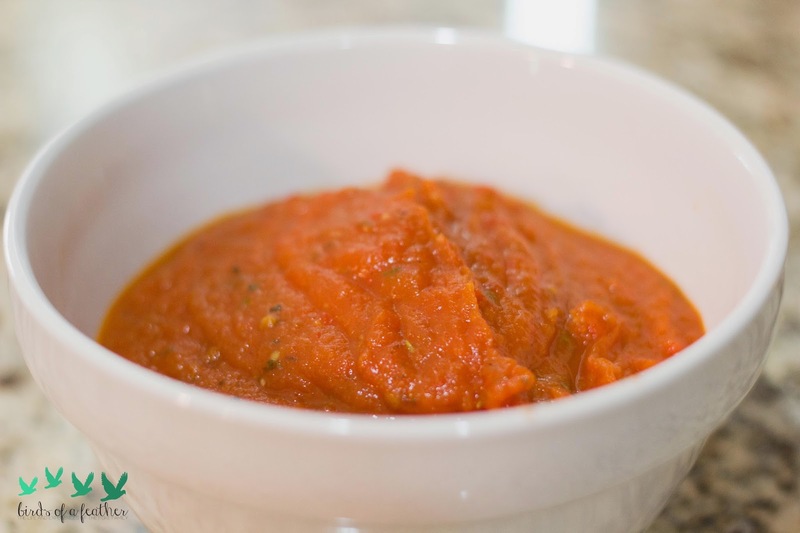 Transfer your tomatoes and pepper to a food processor and puree on high until smooth, or to your preferred consistency. 5. Add sugar and Italian seasonings to your puree. 6. 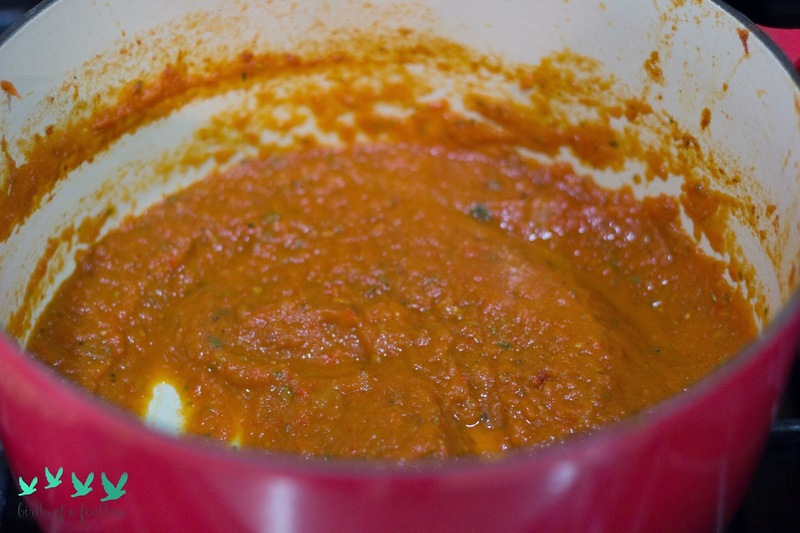 There should be no standing liquid in your sauce so allow the sauce to cook (with the lid off) to allow the liquid to evaporate. Ever have a super runny tomato sauce? It's probably because the lid was left on while cooking and the liquid just dripped right back into the pot. I used this sauce in a spinach and kale lasagna. How will you use yours?